Last Retreat Spot - Is it Yours? Is this last available place yours? We’re keeping the registration open for you! Maybe it’s time to answer that ancient calling from the bones of your ancestors! Can you feel the coldness of the water as you drink from the Well of the Holy Women and ask the old ones for their blessing? What will you gather while beach combing to adorn your doll? A pinch of wool, a feather or shell? Will you be brave enough to step into the loch and submerge yourself under the water? Will you step fully into your stride and embody your wild self? PLUS receive a free pass to one year of online courses! Your journey from Glasgow to the Eigg ferry takes you on one of the top scenic railway journeys of the world. Are you ready for an experience that will change you? If the answer is ‘yes’ get in touch we’ve extend the registration deadline so you can find us! Who will be your inspiration for doll making from the stories from the Isle of the Big Women? Have you ever felt a deep soul calling or a yearning for an ancient connection? - Come join us on an island at the edge of the world. An island who still holds ancient magic and mystery. - An island whose Gaelic name translates as ‘the Isle of the Big Women’. - Get to know the Ancestral Mothers through storytelling, doll making, art, ritual and folk magic. You will translate your own experiences and what ancestral mother you are drawn to through doll making. All materials are provided and you’ll be guided through ech stage producing a finished doll to take home and be your connection to this spacial place. Each day you’ll hear a story of one of the Ancestral Mothers and a guided meditation will help you to connect to these ancient figures. You’ll also learn about the Ancestral Mothers of Scotland Wheel of the Year as well as receive a years pass to take all of the ‘Path of the Ancestral Mothers’ courses for free. We will offer gestures of ritual at sacred sites together as a group or individually at the Well of the Holy Women, the Hill of the Cailleach and the Loch of the Holy Women. These Hebridean islands are one one of the last realms of he Celtic nation and lands of the pre-Celtic peoples. People first arrived on this island around 6,000 BCE and today can still see the remains of their dwellings. At this time of year long lingering twilight’s draw you into a time between time - a time that inspired these ancient people to tell the stories of this land and the ‘Big Women’. It was a gray and cloudy, rainy Winter Solstice morning. We didn’t see the sun till a few hours after dawn. In the photo above the winter solstice sun appears over the river Clyde, the watery realm of the Goddess Clutha. Clutha Isn’t just associated with the river she is the entire water cycle, from the rains coming in from the west and into Loch Lomond which flow into the river Leven and then into the mighty River Clyde om their journey to the sea. This Winter Solstice I was on a pilgrimage to visit a very ancient figure. A journey which took two trains, three buses and two coaches. A journey across to the other side of the country to the east coast and the city of Edinburgh. I was off on a pilgrimage to meet an ancient 2,500 year old wooden figure called the Ballachulish Goddess. She is also called the Goddess of the Straights and this is a point where the waters of Loch Leven flow into the sea. For folks travelling by water this can be a turbulent passage. She was found in November of 1880 with the digging of the foundation of a house. The Canmore Record suggests that she represents a Scandinavian deity - as she is very similar to many, although smaller, Scandinavian carvings. They also state that her pedestal suggests that she may have been mounted in the prow of a galley. The historian Anne Ross, however, suggests that the figure is Celtic in origin, comparing it with several similar figures. The life size carved wooden sculpture of a female is cut from a single piece of alder wood and has quartzite pebbles for eyes. It dates from approximately 600 BC and is on display at the National Museum of Scotland in Edinburgh. The mysterious Ballachulish figure is a roughly life-sized figure of a girl or goddess, carved from a single piece of alder, with pebbles for eyes. It was found during building work in November 1880, under deep peat. It was lying face down on the gravel of an old raised beach, around 120 metres from the shore of Loch Leven. It might originally have stood beside a pool. The figure has been radiocarbon-dated to around 600 BC, making it over 2,500 years old, and belonging to a period when iron was beginning to be used in Scotland. Details of the carving are hard to see, but are clearest on the old photograph. The slender body is naked, and seems to be hairless. The lower part is definitely female, but the chest is flat, so the figure may represent a girl or young goddess. She is shown clutching a container of some sort, with pointed objects sticking out of its top. She also holds, in each hand, something that looks like a man’s private parts. Her pebble eyes stare out and her mouth is slightly open. The legs end in a solid block of wood, with a rectangular hollow carved into its front. The height of the figure, when found, was around 145 centimetres (just under 5 feet). Pebbles found embedded in the bottom of the block suggest that the figure had originally stood on the raised beach, and had fallen over – or been deliberately toppled over – before the peat formed. Under and above the figure were found intertwined branches and twigs, with a few straighter poles. These could be from a wickerwork container, or a little shrine surrounding the figure. Although the figure is unique in Scotland, other wooden figures dating to the Bronze and Iron Ages are known from Britain, Ireland and the Continent. Often these are found in special places – beside a spring, or where a trackway crosses the wetland – and they are thought to represent supernatural beings. Ballachulish is a special place too: the figure would have overlooked the dangerous straits linking Loch Leven with the sea. Perhaps this odd-looking figure represented the goddess of the straits, to whom prehistoric travellers would need to make an offering if they wanted to be sure of a safe crossing. The area is rich in archaeological remains. Within half a kilometre there are several Bronze Age burial monuments, and some years before the figure was dug up, a peat-cutter discovered ‘several barrow-loads’ of worked flint, inside a round building, deep under the peat. The Ballachulish Moss area is nationally important for its archaeology, and is a Scheduled Ancient Monument. Today, the Ballachulish Figure looks very different from when it was found. There were no scientific techniques to preserve waterlogged wood in the 1880s, and although people wanted to keep the figure wet, they could not find a container large enough, so they decided to let it dry out. It was taken to the (then-named) National Museum of Antiquities of Scotland in Edinburgh over two weeks after its discovery, and during the journey it broke at the legs. When it dried out, it warped and cracked, and a large piece broke off. This figure is also called ‘The Goddess of the Straights’ which is the point where the waters of Loch Leven flows into the sea. A nearby mountain is called Beinn a’ Bheithir, or ‘hill of the thunderbolt’ and is associated with a local old crone - Cailleach Bheithir. The Cailleach has many qualities but of course she is associated with the wild weather of winter. Her story has changed over the years from the closest we have to a creation story to today where she is looked upon in pupolar culture as an evil and cruel old woman. Her ancient role is the renewal at winter. She strikes life down, sending it back to its roots for without death there would be no rebirth in spring. So hers is an essential role and yet a culture fixated on youth with a ? ?? fear of death onviously shuns and old crone with her message of death and renewal. It is possible that she is the Cailleach of Ballachulish yet the beleif of the people had changed and morphed by the time she was sculpted. The Cailleach would wander the hills with her herd of deer (her fairy cattle). Every morning she would head to the summit of Ben Cruachan and remove the capstone from the well, letting the water flow out. After a day of wandering the hills and letting her herd graze she would head back to Ben Cruachan and put the capstone back on the spring. But one night, tired after wandering the hills all day she feel asleep in the last hours of daylight, sleeping so soundly she slept on into the night forgetting to put the capstone on. The capstone was a huge boulder and so normal mortal folks wouldn’t have the strength to move it. So the water kept flowing and gushing down the mountainside, it flowed through the pass of Brander forcing its way into houses and drowning the people asleep in their beds, it drowned all their cattle and other animals and then it gathered in a large hollow and formed Loch Awe. When she awoke she heard the water running and was horrified to see she’s forgotten to replace the capstone and her grief was so deep to all the death she has caused that in her mourning she turned to stone. Her reading is open to interpretation as we red her with our own perception. personally I don’t see the ‘basket’ she is holding, I see a well defined ‘pubic’ area, to stress her femaleness, although the left hand side of this groove does move above this area. She is a stark figure, looking out from her quartz pebbles, stones which have metamorphosed in the heat and pressure of the earth. She is wild and untamed, she was important enough to be carved and put in an exact position. Her temple is outdoors, it’s the thunder and rain-clouds, mist and the call of the seagulls. But on this Winter Solstice day her temple was the National Museum in Edinburgh. To walk down the corridor to meet her was a procession, I took each step slowly and with purpose. I could feel the energy building as I got closer. I hadn’t brought offerings, I had brought myself. I wondered of folks would have laid her offerings - they would have known her well enough to know what offerings were suitable. She is wonderful. Dark and mysterious. The life that she has seen. I don’t know how she feels about being cooped up in a museum, yet she has the vision to see through the walls, see through the layers of time, see into what matters. I don’t know her well enough to leave offerings - maybe she’d like a nip of whisky or perhaps a hunk of bread that little feathered ones can eat - but instead I have my yearnings to learn her mysteries. I have nothing new to add to her story, just merely the opportunity to retell her story and my journey to meet this quartz eyed woman - for I am sure she and I will meet again on a wild and windy hillside. In traditional PaGaian Winter Solstice ceremony, after anointing each other with oil and invoking and recognising the sacred in each other around the circle, the celebrant invites: "Let us celebrate this sacredness, Her eternal Cosmogenesis, in the Dance". This dance is one of our favourite things to do. The sacredness that we celebrate is imagined by the story told as of Old: that on this night "the Great Mother gives birth to the Divine Child", and that "the Divine Child is the new being in you, in me ... is the bringer of hope, the evergreen tree, the return of warmth and light, the centre which is also the circumference - all of manifestation. The Divine Child being born is the miracle of being, and the Unimaginable More that we are becoming." And with the invocation then, we the celebrants, recognise that we are each “Goddess Mother” and also each the “Divine Child”: each is Creator and Created – as one cannot birth without being birthed at the same time. We recognise in the invocation that each participates in Her eternal Cosmogenesis: “Thou art Goddess Mother – Tia-mat, Thou art the Divine Child - Thou art all of That … a whole Universe” is the blessing each gives to another around the circle. Then we dance this eternal Creativity in the “Cosmogenesis Dance” as I have named it. The dance has three layers, which is understood to represent the three aspects of Goddess, the Creative Triplicate Dynamic that the ancients were aware of - imagined in so many different ways around the globe. As Triple Spiral She is a dynamic that was apparently understood as essential to on-going Cosmic Creativity, as it is the ancient motif lit up by the Winter Solstice dawn at Bru-na-Boinne (known as Newgrange) in Ireland. [IMAGE#1] The three aspects poetically understood as Goddess celebrate Virgin/Young One - Urge to Be as I have named this quality – the ever new differentiated being, Mother – the deeply related interwoven web -Dynamic Place of Being as I have named this quality - the communion that this place is, and Crone – the eternal creative return to All-That-Is - She who Creates the Space to Be as I have named this quality. The three layers of the dance may be understood to embody these. The Dance represents the flow and balance of these three – a flow and balance of Self, Other and All-That-Is. It may be experienced like a breath, that we breathe together – as we do co-create the Cosmos: at Winter Solstice we each specifically light a candle for the new being coming forth in us this year, and we join together in expressing the "flame in our hearts" with which we may re-generate the world, as the Sun has always done. The Cosmogenesis Dance that we do in the ceremony expresses the whole Creative Process we are in. It is one of complete reciprocity, a flow of Creator and Created, like a breath. There is dynamic exchange in every moment - that is the nature of the Place we inhabit. The dance may help us to get it, and to invoke it. Every year when we do this Dance, we want to do it again soon! Starhawk, The Spiral Dance: A Rebirth of the Ancient Religion of the Great Goddess. NY: Harper and Row, 1999. Like the reindeer herds guided by the Ancient Deer Goddess and the more modern Elen of the Ways, I follow the energetic paths that sustain me. Moving along these ancient paths, these ley lines or dragon lines, I move along the edge and in the shadows, finding the threads of memory which birth meaning in this time. I am as old as the stone mothers and as new as the sickle moon making her first appearance. I am a Way-Shower, a Memory-Keeper, a Path Weaver and words, ideas and themes – musings on deep calls to the deep feminine - come to me from an ancient primordial place called forward to be birthed into this space and time. In this time of the Winter Solstice, this time of that first glimmer of light after the descent into the darkness, I come to remind you of your strength and your resilience. I come to guide you to those paths with footprints that match yours, those paths that will offer heart during the days to come. I come to remind you of ancestral ways and rituals for celebrating the offering of new life stirring in this season, ways and rituals that will hold you in Her warmth and offer a hearth to sit around as you and loved ones tell stories... remembering and re-membering. Like the female reindeer who wear the crown of the Ancient Deer Goddess... the Old Antlered One... Elen of the Ways... the deer standing in the dark glade watching, listening with antlers reaching to the light of the full moon and the returning sun... the deer who stands sovereign in her knowing and connection, grounded in ancient ways and memories...we too can embody this energy and way of being. I am Sovereignty and in this season of light and life, I come to remind you of yours. Arlene Bailey is a Visionary Artist, Writer, and Mystic with a hunger for the wild, the ancestral, the deep end of experience so as to understand that which is the most hidden of all mysteries… the soul of woman. As a Certified Facilitator of the Art of Allowing Process - using the canvas as a portal and ritual as the language of the soul - she takes women on a journey to remember their ancestral lines and awaken their own unique soul connection to the Deep Feminine. When I worked on my project I met Kristina Turner who later on become my Antlered Mother. She was attached to the blackbird story and we ended up collaborating together. Kristina, is the mother who are now ‘The Crone’ who is supporting other women with their journey. We all have that power, we will just need to listen withing, stop for a few minutes, hear the blackbird and feel our feet to tap in to that ancient energy that flow through all of us women. The message the reindeer totem carries is faith. It’s about learning to take a leap of faith into the unknown and placing one's trust in the process of life rather than an outcome. In a sense, the focus becomes about the journey. Similarly, the journey one takes following a cancer diagnosis could be considered comparable in essence. The ongoing monitoring, treatment and uncertainty which often follows a cancer diagnosis is comparable to the message Reindeer brings – that is, to trust the process. The antlers represent the ‘fight’ which is often associated with cancer. Whether that is the fight which the surgeon faces navigating through a long and difficult surgery when things don’t go as planned, the nursing and hospital staff’s consistency and kindness or the caregivers who support their loved one, they each face their own battles. Together they fight the good fight. The sculpture was deliberately made without ears. Gynaecological cancers are often referred to as silent killer as symptoms are often subtle and are not often heard until they reach a more advanced stage. The colours used are representative of women’s gynaecological cancer and each flower represents a different form of cancer. The Reindeer was sculptured by hand using paper, wire, tape and plaster. The cover is hand crocheted using 100% merino wool. Patterns used are traditional granny squares, African daisy motifs and freeform crochet to bring it all together. I've loved Deer all my life. Although I grew up in a suburb in the heart of what was to become Silicon Valley, I managed from time to time to see the deer that lived in the nearby hills. I kept a tally of deer sightings, and wished I could get out of the car (most of my sightings were at 55 mph on I-280), and join them out in the golden fields and oak woodlands. As a child I read every book on deer, fiction and fact, that I could find in the library. My absolute favorite book was Bambi - A Life in the Woods by Felix Salten. Felix Salten was clearly a naturalist, portraying the lives of the deer and the forest creatures in careful detail, a far cry from the Disney version. I literally read Bambi more than fifty times (I have book logs to prove it!). I wrote stories and drew comics that basically copied Felix Salten's deer books (besides Bambi, there is Bambi's Children, and A Forest World). Fast-forward to my teen and young adult years, when, in my study of and passion for Celtic and other folklore, and medieval and Renaissance literature, I became aware of the deer in other forms. The white stag that leads one into the Otherworld, the doe who is pursued by the hunter in the English ballads, a metaphor for the romantic chase. I embroidered the deer into the costume I wore at the Renaissance Faire. My running with Deer continued through song, poetry, myth, and wherever I glimpsed kin* (explanation of word usage to follow!). When I was 35, my husband, daughter, and I moved to a semi-rural island in Washington State. Suddenly the deer were everywhere! I followed deer tracks, wandered kir trails, and became still and watchful whenever I encountered kin. I began to pursue deep nature immersion practices, and this led me to observe the deer as closely as I could, and to mimic kin -- practicing Deer Ears to gather sound from every direction, moving with the varying motions and gaits of a deer, and -- as one growing into a love of the plants and herbalism -- finding my own way to browse in the wild. Deep nature connection and soul work inevitably leads to a tangle of shadows, beauty, grief, and breathtaking heart in one's inner forest. How does that wildwood tangle become a medicine bundle?One evening I arrived in frustration at my greenwood sit spot. So much had shifted in my mythic terrain that I felt that, in another place and time, I might have received a new name, a sound essence that would witness and ground my fledgling understandings, and, like a small bird, coax me from a new place of knowing to reenter a soul service to the children, to my people -- human and more-than-human kin, the Sacred, and Earth. But that village with elders and name-givers did not exist for me then -- not in a way that I perceived, anyway. "If I lived in a different place and time," I told my sit spot companions, Douglas-fir, Red Cedar, and Red Alder, who I called the Three Sisters, "I'd have a new name. A name like ...." I peered into the twilight, trying to imagine what kind of name I'd receive, what kind would embody the sense of who I was and what I more fully longed to be. In that moment, the encompassing Forest dropped a name like a pebble into the pond of my heart. I found myself finishing my own sentence with the words: "... a name like Singing Deer." The shadows vanished. My heart overflowed like Spring waters, I gazed in wonder at the greens-and-black, the bright night of Forest welcoming me as kin. "Thank you, thank you ..."
Many reasons existed then as to why that name spoke truth to me. I continue to discover more. In my nature connection work with children and adults, I teach Deer Form, in which we listen and move through the landscape as if we are deer, the better to experience the smells, sights, feeling, slow grace, and comfort of being at home with Earth. Becoming the Deer is to grow in relationship with the plants. For the Deer who pass kir time along the landscape, or resting within, the green world and Earth are a relaxed extension of who and what kin are. To be like the Deer -- to practice Deer Medicine -- is to engage in the deepest listening. The deer are not always wary. Deer play or groom one another. In the mating season, the stags engage in single-minded pursuit. This past fall, a group of women and myself shape-shifted into Deer, and followed actual Deer (!) off the human trail and into a wooded hillside. Following the Deer has led me to understand the nuances of sacred plant medicine that I now consider to be Deer medicine. Kin have led me to listen for music when I am within a magical moment in nature (and magic is in nature, always). I call the melodies that come to me during these times "Deer Songs". I have given Reiki and song to a fawn who lay dying. I have heard fawns bleat, and stags snort. I am trying to use ki/kin pronouns for beings of the living earth, as proposed by Robin Wall Kimmerer, a nature writer, botanist, decorated professor, and enrolled member of the Citizen Potawatomi. It is for the illuminated world that the Deer have shared with me that I do so. The Deer feel safe around our home, and my family often finds we can look in the four directions and spot deer in the far field, deer in the chicken yard, deer ruminating near the plum trees, deer eating the fallen horse chestnuts. This past spring I walked out our front door to find this very young fawn sleeping by our walkway. When I see the deer, when I am near kin, I know that I'm on track with my life. With the Deer as a strong physical as well as imaginative presence in my life, my ten-year-old child self is ecstatic with this sweet truth that our world is one of real magic. Maybe because I now associate with other Deer Women (thank you, Jude! ), I actually feel like I have grown my antlers. Really, I can feel the energy of them! My grown daughter, not knowing I sense these energetic antlers, sometimes pauses in fun as she passes me to make her fingers into antlers on top of my head. In my work with kids, I now use the name Singing Deer, and I am both moved and delighted to hear them and my colleagues call me by this name. And so now, at the end of this narrative deer wander, you know a little about the illustration up top: "The Year She Grew Her Antlers." How have you grown your antlers (or the equivalent) in your psyche, and what marks this year's growth for you? Jane’s track: The Abbots Bromley Horn Dance. Hunters and the Deer have a sacred relationship in our indigenous past and present. In the village of Abbots Bromley, in England, an ancient tradition exists in which Morris Dancers bearing reindeer antlers and with rows of bells binding their ankles, engage in a midwinter ritual dance of the hunt. As the Celtic harp duo Spookytree, my music partner Debra Knodel and I recorded the tune used in this dance and known as "The Abbots Bromley Horn Dance." You can listen to our recording of The Abbots Bromley for free here -- and, during this month of December 2018 -- even download it for free . Many dreams of the Deer to you during this merry midwinter and time of sweet enchantment! Jane Valencia loves helping young and old alike to join in with the healing magic of the green world around us, and to discover through curiosity, creativity, and wonder what nature and imagination reveal about our truest nature. 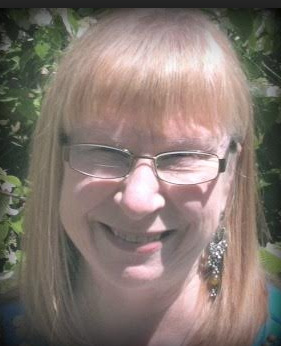 Jane has recorded several harp CDs, published a children's fantasy novel, written numerous articles and blog posts, teaches weekly at a nature immersion program, and is the host and producer of a streaming radio show, Forest Halls Celtic. She is author-illustrator of Paloma and Wings: a Kids Herbal Comic, due out this Spring 2019. Please visit Jane at her websites: Foresthalls.org or SingingDeerHealing.com. (first image) Photo: Jane and her Antler Harp. Behind her are her wire-strung clarsach (Ancient Gaelic-style harp) and her nylon-strung Celtic harp. Jane once experienced an "antler harp" in a dream -- an African "bow" harp with two necks upon which the strings are wound, the necks resembling antlers. The first harp ever was probably a hunting bow: the string plucked while under tension makes a pleasing sound. It is easy to experience the mythic connection between the Deer and the Harp. As I move closer, I notice that the tree branches framing her head and face are not in fact from the trees surrounding her, but are actually a part of her, like some great rack of antlers. In fact, they may be antlers, disguised as branches, but I can’t quite make it out. The energy around her is electric, and I can feel it prickle my skin. She is a wild woman to be sure, someone who has cultivated a synergy with the forests and the trees. Someone who has spent much of her life there, away from humans, lying down with the deer at night and following the flight of birds. “Some call me the mother of these forests and the creatures who live here,” she says. “ I am mother to some yet this forest was not always my home. I was sent here by my own grief to heal and I have long since aligned myself with the Good Folk who live here and are in fact true mothers and fathers to this place. And you are one of mine, my child many generations removed, yet I claim you still”. In a flash of understanding, I realize she is connected to my female ancestors and I know my place in her story, her place in mine. Then it is gone, all fading away as the dawn starts creeping through the windows; her image etched into my mind, her flaming red hair, and dark, wild eyes. I know her now as Elen. She dangles her carrot of wildness in front of me, forcing me to seek out nature wherever I am and most of all to remind me that I am an animal too, a creature of nature, an important truth often forgotten in these modern times where we are expected to be everything at all times, but rarely true to our natures, part of the animal kingdom and beholden to its rhythms. She bids me seek the old trees and breathe in their beautiful and grounding manna that is so sustaining, to learn what lessons they have to teach and allow them to heal and strengthen me. Her tree is the birch and it is my favorite. Slender yet strong, it can almost bend in half during a winter storm, but it rarely breaks as an outcome. The birch is a pioneer of sorts, digging its shallow roots into ground that has been damaged, with the intention to re-wild the land, at least a little bit. Elen knows the wild plants and how they can heal, or harm. She knows the secret places and the trails of the deer. Her steps bring life and fertility to the land and forest. She is my teacher, and asks that I teach my own children the knowledge she shares. She reminds us of our innate wildness. Ten years ago, I had another powerful dream. This time, a God named Wuldor gifted me with an ancient relic, a magical shamanic deer mask. In the dream this mask allowed me to shapeshift into the form of a reindeer and travel to another world where I was told the origin story of this lesser known god, and how he is connected to Elen. I was asked to write a fantastical tale incorporating their stories and the fundamental truths therein in a way that would capture the hearts of humans and get them to care about the wild places again. A tall order. The tale, Dreams of Ýdalir is a result of years’ worth of devotional work with both Elen and Wuldor in which I weave together their stories, and my own. Both Elen and Wuldor are associated with this time of year, Elen with her connections to the ancient reindeer goddess, and Wuldor, to the Green Man. Both are associated with the wildwood, and deer, especially reindeer. Reindeer are the only deer where both males and females grow antlers. Male reindeer drop their antlers at the beginning of winter, while female reindeer retain their antlers until after they give birth in the spring. The stories of reindeer that are prevalent during the winter holidays are modern tellings of much older stories, tied to the landscape of northern places where Yule has its roots, and to the sacred feminine, since only female reindeer would have their antlers at this time. Drawing on ancient Winter Solstice celebrations, and the symbolism of these antlered figures, we can find sacredness, meaning, and connection at this time of year without all the commercial trappings that can often cause anxiety, and dread and disconnect us from an important truth. As a descendant of my northern European mothers, it helps me to remember that at one time, all my ancestors down the line celebrated this sacred festival, it is our birthright, and it is time to reclaim it. We can create lasting memories and traditions for our own families that draw on this truth, and keep these traditions alive so that our children can share them with theirs and so on down the line so that the light never burns out. 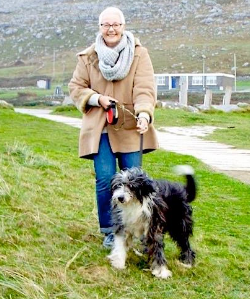 Jenn Campus is a best-selling author who weaves the genres of fiction and non-fiction to create a rich tapestry of connection between myth and matter, ancestors and descendants. As her family’s hearth keeper, she draws on the traditions and wisdom of her female ancestors and the sacred duties of motherhood to build a legacy for her children, their birthright. She ties the sacred duties of home and hearth with ancient stories and folklore to help strengthen the never-ending line from her ancestors, and the lands from which they came to her descendants. Dreams of Ýdalir, and A Guide to Celebrating the 12 Days of Yule. Your FREE downloadable PDF will contain 30+ pages of Ritual, Folklore, Activities, and Recipes to help you create lasting memories and traditions with your loved ones this holiday season! "Shapeshifter ~ Being Anwynn". Mixed media, 2018. "In the rich folklore of the British Isles, and my own Scots Gaelic tradition, there are ancient narratives of shapeshifting between beings in Earth Community, or at least the acknowledgement that our Ancestors were not necessarily human. I find the mystical poem "The Song of Amergin" as mentioned by Elen Sentier in Following the Deer Trods fascinating, as it defines our sacred kinship with the creatures and elements of the natural world. "All of the things that he has been, enable Amergin to know how their lives are, how they think, how they feel, how it is to be them. It’s a form of shapeshifting and the ultimate way of learning for the awenydd." (Elen Sentier) These animist skills may be (for the most part) lost in the modern world, but my vibrant and whimsical mixed-media piece "Shapeshifter ~ Being Anwynn" evokes the bright mystery of a Wise Woman and her transformational powers. Earth Community shares common forms, patterns and symbols, and my art also pays homage to the Wheel of the Year and the timeless solstice celebrations that sing to the Celtic soul." Drawn from a journey exploring the Celtic goddess Elen of Ways, this Antlered One came to guide me during a time of darkness in my life. December's descent into darkness and the rejuvenation it offers remind me of my connection with my sacredness within and the Earth beneath my feet during the busy winter holiday season. Winter Solstice is the gate that marks the return of the waxing light. It signals a time of celebration, rejuvenation, and life in the depths of the darkness. The antlers on the standing stone are a symbol of the deer's gifts and a relationship with the celestial signs of the seasonal shift towards the growing season in the cold of winter. Cat Shepard: Shamanic Artist & Priestess exploring the creative & sacred Mysteries with Art, Myth, and Ritual. 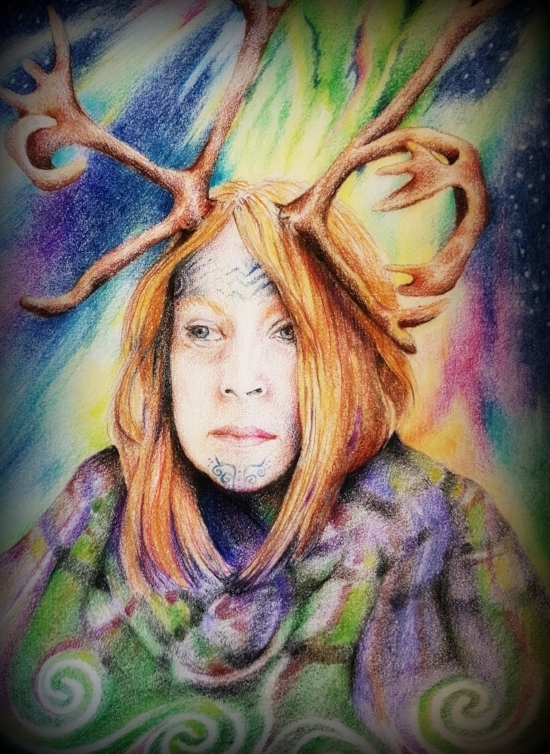 The Hearth of the Antlered Mother has grown out of the Pictish Spirit Nine Drums space, a creative totality that includes all aspects of my experience of motherhood, feminism, spirituality and art practise. I walk with Cailleach and Bhrìde at core, with aspects expanding through the mythological women of Sgàthach and Aoife as symbolic of women who have had to exist and survive in patriarchal and warrior cultures since the Bronze Age. In this way, the Hearth is connected through my Scots ancestry to a current re-visioning and re-storying of what it means to be human, and particularly a woman, in our very troubled, contemporary times. The Antlered Mother walks in many cultures, her primal source quite likely found in the human experience of interdependence with herds of reindeer and deer in Europe. Cailleach is envisioned as Deer Mother from the most ancient times living in sacred relationship with the prehistoric herds of reindeer, giant deer and red deer that roamed the land and were depended upon for survival. Her vast age can be seen to be synonymous with the very beginnings of human consciousness in such relationships, and, of course, with Earth herself. The evidence of widespread female-honouring cultures of Palaeolithic, Mesolithic Britain and Old Europe support the assumption for co-operative prehistoric tribal groups, and provide skeleton-myth and seed-stories which, although fragile, can provide a template for the values of mother-centred culture we might imagine today. The cyclical value system and nurturing practise of the act of mothering which includes but is not limited to the process of childbearing, informs Goddess consciousness (also known as The Female metaphor*), activism and visions for matristic economy and culture. A deep shift to this value system has the potential to form a scaffold for healing from at least five thousand years of the prevalent violent patriarchal / dominator societies. Coming into some understanding of the historical context for these dominator societies is vital for women. 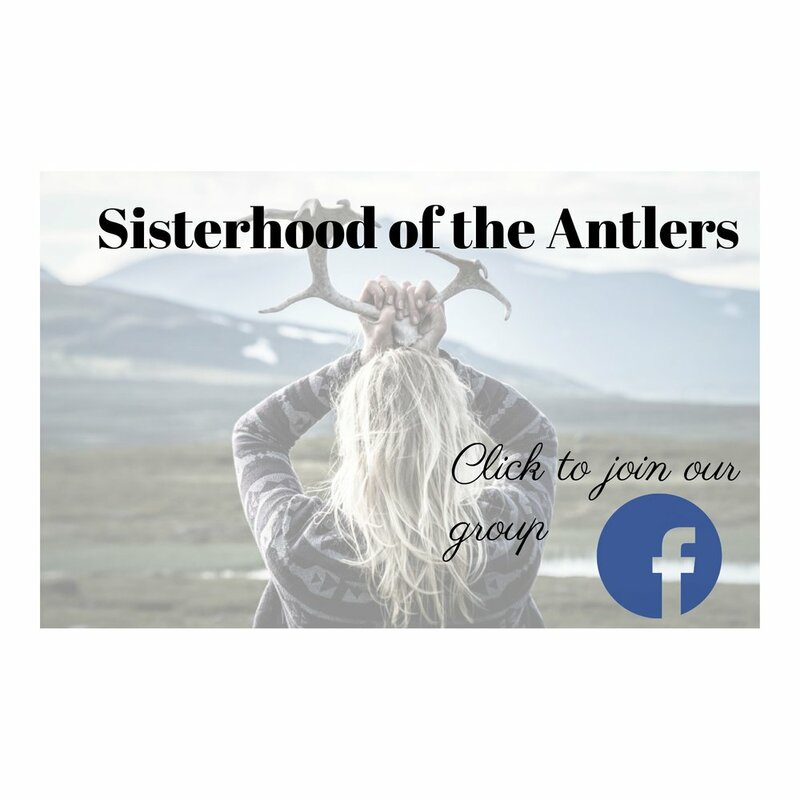 I have long been interested in facilitating space for women to learn about, celebrate, and to heal and grow with relationship to their own ancestral lineage with the Antlered Mother and a value system connected to Goddess, or The Female Metaphor. Connecting with like-minded women, women with questions, women who are just embarking on their radical spiritual quest in tune with their own ancestry, and women who need support simply to keep going on already well-undertaken journeys – Hearth of the Antlered Mother offers time and space, guidance, grounding and inspiration for such endeavours. For like the Reindeer, we make the cyclical migrations throughout cycles great and small, growing in ourselves and with others in readiness for that time when we may one day find ourselves as guiding matriarchs of a wisdom-herd. The components of the hearth – earth and stone, kindling, fuel, oxygen, shelter, and opportunity for transformations – are actual and symbolic structural and guiding energies of life. 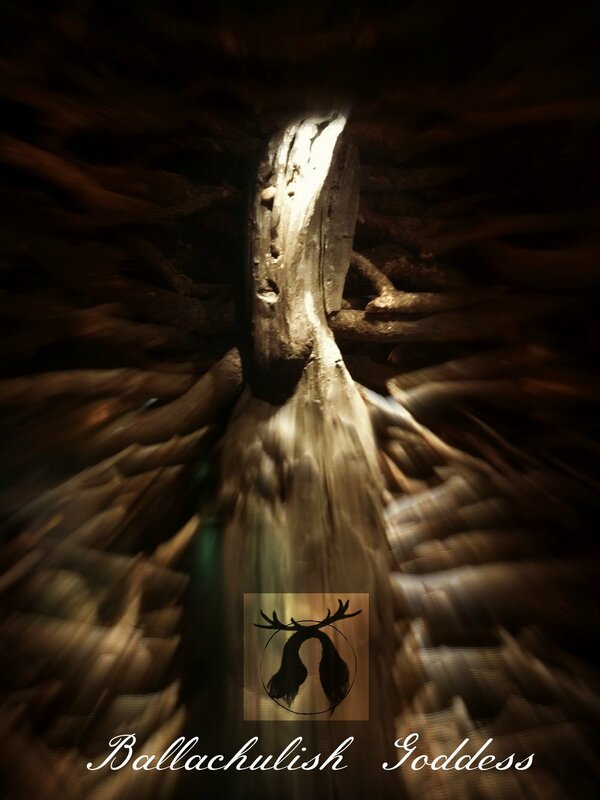 I envision the Hearth of the Antlered Mother as a Hearth – one of many such spaces facilitated by women – specifically connecting the symbol of the cultural hearth and an individual’s ‘inner’ hearth, to the natural, organic reality of the Reindeer Mother, the only female deer to grow and shed antlers in a cyclical round. I have learned mostly from other elder women concerned with this kind of work in very domestic, nourishing situations – usually around a hearth of some sort – and it has therefore been a priority for me to make the space approachable, organic and warm. Winter Solstice is a relatively mild time as experienced here in Strathalbyn, South Australia. The cold and dark time brings the need for light and warmth most starkly into focus for me, challenging me to get creative with quilts, shawls, and handmade blankets from mother and grandmother. The focus is on thick nourishing soups and stews, simple food to nourish and appreciate. Here, the winter solstice season occurs in June, but when December rolls around the mainstream cultural appropriation of symbols and traditions of this seasonal event are firmly embedded in the wider, consumerist culture of tinsel, plastic, and over-extended budgets. At both times of the annual round I am trying to integrate and balance what the Ancestral Mother advises, and the needs of the immediate environment, sometimes very contradictory things! And yet these contradictions can also provide a fertile ground for creativity. A themed dinner party, red and green ribbons and the ceremonial releasing of stored energy in a fire (which here in December might be a candle, or a symbolic table decoration), honouring my Ancestral Mother and our family and cultural lineage by remembering and sharing stories whilst enjoying iced drinks and fresh fruit, the bounty of an Australian summer. For me, contradiction and complementarity are the essence of honouring the Antlered One, for life and death flow together in ever-renewing cycles. The practice of bringing my awareness to two simultaneous solstices enables nuance, and one might hope, some threads of wisdom to be woven into the lives of family, friends and community. Louise Hewett is a writer, artist and Goddess feminist, based in Strathalbyn, South Australia where she lives with two of her four children among books, crystals, and a growing collection of antlers. For many years the land and I engaged in conversation. Not a conversation of words, a conversation of sensation, the brush of a crow’s wing, the power of a threshold, the invitation to rest by a familiar tree trunk. All these things developed over the years along with visions from the land, plus burying relatives into the same sacred soil but most of all experiencing the the body’s familiarity with the beat and tempo of walking the undulating landscape. The squish of bog and star moss islands, a high step through bracken, stepping stones over the stream. Wading through the swimming dance of high grass, following the sheep trails through bouncy clumps of heather and the heart-beating scramble up mountainside scree - these are all sensations that my body remembers, a inherited pattern past down through the generations that speaks of home. Even though my father’s family are Irish they too are intimate with the land, a similar landscape. I have listened intently to this landscape all my life, sat by the boulders at the edge of the loch (Lomond) marked by the striations of long gone ice ages and drew my fingers across the rock scars like they were an ancient language. When I was young my dad used to take us walking up around the local hills up above Loch Lomond, Scotland. Among the stones at the top of Carman Hill I would sit ever so quietly, scrunching up my eyes and in my imagination, I ripped up the roads, made all the cars disappear and with a final blink I removed the houses and the streets. I always wanted to see what this place looked like a long, long time ago. Then I would hold my breath to see if I could see the old ones that I knew used to live here, the ones from the times before the roads and the cars and the houses. Even though I never saw those ancient people, I felt them. I felt the presence of the energies of the land, sensing that these lands were sacred and up by the stones at the top of the hill was a place where this world flowed into the other worlds. Years later I began to see those original people on the move and it took a while to realize that they were following great herds. Probably more years before I realized these herds were reindeer. While studying the Geology of the area at University I came across an article which described the finding of a reindeer antler not too far (as the crow flies) found in glacial moraine unearthed in the building of a railway line. Proof that reindeer really were in the area. This is a story about my experience of 'The Old Antlered One' as I call her. She is the spiritual bedrock of this place. I encountered her before I knew anything of antlered goddesses or antlered women and at that time my main source of an antlered creature was Herne the Hunter from UK kids programs such as Robin of Sherwood and the Box of Delights. 'Thinking of Mascen's dream journey, and my idea that this may connect to shamanic flight, I decided to try an experiment. Not having fly agaric to hand, I induced a method of astral projection and invoked Elen. I visualised myself walking through snow, in a bleak landscape. Soon I was 'astral travelling' now above the land and completely in the moment and no longer needing to consciously invoke the images. Looking down I saw a pathway littered with bones and antler. It had the appearance of a simple rail track, laid out on the snow, and I realised that this represented the migratory route of the deer. I was following this track that had seen millions of beasts over millennia. I knew it went back aeons, before the Ice age, a memory that was in our genes and in the land itself. The bones and antlers represented the ancestors of the beasts who still, where they could, walked these paths today. I was 'told' that these were the 'oldest pathways in the world'. I felt a huge rush of energy, and the path suddenly rose up, looped out and back on itself, and the bones and antlers formed into a skeleton of a giant elk, rearing up in front of me. It twisted around and started to move forward. This was so dramatic that I snapped back form my astral journey, much to my frustration - if I had stayed with it, I am sure it would led me to discover more. I have never been able retrace that track! While meeting a great elk figure was the end of that story for Caroline, meeting a great skeletal figure is where my story begins. My first experience with the Old Antlered One was meeting a huge skeletal figure. I knew she wasn’t an elk as she was female and her tall branching antlers pointed towards a link to reindeer as they are the only cervids with antlers. You can read the story below in text or listen to the audio file. One night, close to Imbolc to the rhythmic heartbeat of the drum I sank down, down past the peaty layers of Loch Lomond, past the bones of ancestors, both human and animal. There in the darkness of that place between the worlds, I emerged at the top of the mountain, Ben Lomond. In that magical place I wasn’t simply myself, I was part me yet part ancient being. Skeletal, tall with huge branching antlers – her skeletal frame hidden behind a tall ragged cloak shimmering with galaxies and nebula's, we were in a place time had no hold. I watched as she held out a bony hand - my hand - and commanded the sun to rise, and as it did she traced its path across the sky, leading it over to the west. As day changed to night she summoned up the moon guiding its path, - over and over she danced this dance setting the play of the constellations. Land masses danced across oceans the world reforming and reshaping, then ice ages: ebbing and flowing, She ushered a thaw and a great greening covers the land, she dances to bring in life - dancing to bring in great clouds from the west, who released their rain when they meet the great mountain, flowing in small tributaries, gathering in streams until they poured into the loch. This is the dance of creation. I watch as the greens intensified, then transform into a burst of orange and browns before dying down and returning to their roots before the white takes over again. Green, golds and white, the seasons play out over and over. One by one she brings the insects, fish and birds, wolves, bear, auroch, and elk and the reindeer. Then people came, the people who followed the reindeer. They walked from mainland Europe following the huge herds. As they walked and camped they wove their own stories to the land, following the luminous strands this great antlered one had embedded in the earth. The paths the reindeer follow trails to sacred lands. Once everything was in place, this great creatrix bounded off to the west coast to the small islands that keep part of her story alive. Then she lay down, old and weary, sinking into the earth. Great trees grew from her bones, including the great tree that joins the worlds. Among these people that followed the women who wore antlers, around a fire they give thanks to both the reindeer and the old antlered one. They are the wise woman of the deer, the ones who know the presence of the old one. They are the ones who tend to her shrines in high places, shrines they tend to on dark and full moon nights. Times that they dance her dance. Their steps following her steps, steps that take them between the worlds, and in that dance they dance their intention out into the star patterns, and down into the luminous strands which carry out in a great network out over the earth. 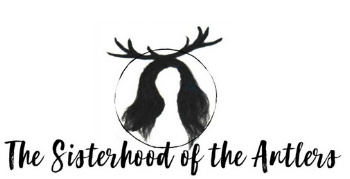 I have come to call the women in the story who honor the Old Antlered One as the Sisterhood of the Antlers. This is based on the idea is that women create that space of sisterhood when they come together in circle - a sacred space to listen, to express, to honor - a space that sits on the threshold of worlds. Come join them as you invited to take this journey and run with the herd. I suggest you approach the journey in line with your own practice - wither a guided meditation or otherworldly journey. Take some time to prepare for listening - maybe you’d like to have some paper and a pen nearby to record any impressions or insights. Antlers are the symbol I use to honor my female lineage - which stretches past Celtic peoples back and back to a most ancient ancestor who lived in Europe at the time of a great ice age in 25,000 BCE. She and her clan followed great herds of reindeer and other animals over the tundra. (mDNA analysis by Oxford Ancestors/Seven Daughters of Eve). This summer (2018) I got to head north and visit the Inverness area and the Cairngorm Reindeer Herd. There are roughly 130 reindeer, 80 are kept at the Glenlivet estate while the females are free roaming. It’s highly likely that indigenous reindeer died out after the last ice age with brief introductions by the Vikings. Reindeer don’t thrive in the UK but one place offers them a hospital arctic ecosystem - the Cairngorm mountain range. The Cairngorm herd were reintroduced in 1952 and believe me, I was as excited as a little kid to meet them! Visitors get to visit the males who are kept in an enclosure, a huge enclosure while the females and their calves are free roaming. That night after visiting the reindeer I dreamt that the Old Antlered One appeared on the crest of the hill - again, huge and towering. The protector of the herd. As she moved there was a shimmering to her great cloak, a rich grey and brown mix of reindeer. Then I noticed movement and as I peered closer reindeer where flowing like a river. They flowed out from her cloak in one fluid movement pouring down the hillside. Each and every reindeer that ever lived on this land sheltered in the presence of the Old Antlered One. The herds still live and walk this land in spirit. As a doll maker I explore what this antlered female figure might represent to us. The antlered women dolls are keepers of mysteries - ways and traditions that have become lost to us, and yet some of that ancient wisdom remains in threads of songs which swim in our blood and ancestral knowledge which is knitted into our bones. That ancestral knowledge can be sparked and ignited when things resonate with us and then remarkably we don't need to know the details and the situation and somehow we already know. These images speak directly to an ancestral longing and feed our hungry soul. My work through doll making honors that connection and recognizes that the longing we hold - acknowledges that what is missing in us resides in her. She mirrors the values we wish to reclaim, the mysteries, the ancestral wisdom and all that we have lost touch with. As humans I see our role as taking that knowledge and wisdom and weaving it into our lives in meaningful ways. The Old Antlered One is a story of place, a very ancient story who hangs on in the human imagination by very thin threads. I find great comfort in tapping into the rich inspiration of my foremothers - whose wisdom is knitted into our bones and whose songs sing in our blood. In circle, we gather the wisdom gained through journeying between the worlds and channel it though our creativity in art, clay, collaging, doll making and in whatever form women are drawn to. Our sacred art speaks of the ways in which we resist patriarchy and inspires us in our work in acts of resistance in the face of the violence unleashed at women, young girls and all creatures around the world. Oxford Ancestors - mDNA analysis I am unsure wither they offer this test anymore. Shaw, martin, 2016. Scatterlings. Getting Claimed in the Age of Amnesia. White Clouds press, USA. Sykes, Bryan. The Seven daughters of Eve. The Science the Reveals Our Genetic Ancestry. WW Norton & Company, USA. As we move through the days of darkness into mid-December, and try to bypass the seasonal frenzy that goes against natural rhythms (!) we sense a stillness, and a waiting. Before the modern era our earth-emergent Ancestors found the days after Samhain to rest, honor those who came before, contemplate deeply, and prepare seeds for the future. As we travel through the Land of Winter today, how can our own spiritual journey relate to this ancient wisdom? Clearing and composting old growth in the garden, practicing meditation and introspection, refining our home as a sanctuary space, or celebrating our Elders are all activities rooted in centuries of tradition. Solstice is also a perfect time to develop a more intimate knowledge of the land, to identify the ecotones and life-forms that inhabit the wild places, and to learn about the First Nations in our region. Within the Celtic Wheel of the Year, mid-winter or Yule is particularly evocative, as it mirrors the progress of our own soul from emergence and rebirth (the “dark”) to the fullness of wisdom and self-expression (the “light”). The Winter Solstice is a time of great festivals in all faiths and traditions, with ceremonies deeply embedded in the land to honor the rebirth of the life-giving sun. Our Celtic Ancestors marked the light’s return at sacred sites with reverence, gratitude, ritual, music, merriment and communal feasting. For thousands of years, great stone markers, megaliths and circles in the land functioned as ancient calendars, time-tracked the cycles of sun and moon, and maximized shadow-casting at the eight cardinal points – the solstices, equinoxes and cross-quarter days. In harmony with the geo-magnetic energy fields, monuments were constructed along the ley lines of the Earth, each with a distinct vibration. Calming or grounding, or experienced as epiphanies, visions or healing – all offer the joy of bonding to the land. Visiting these sites today, they still function as “high energy” vortex places that hold deep meaning and spiritual power. In the UK at Winter Solstice, it is thrilling how modern folk still gather to honor the return of the light – as Celts have done for millennia - at stone circles designed by Bronze Age people four thousand years ago, that still function in the same way and provide essentially the same experience! As we revive the Old Ways today we continue to restore balance, and whether one is solitary or part of a wider community, the cycles of nature come first. How do we hear the “song of the earth” while honoring both our own path and the Indigenous Knowledge (IK) of the original Earthkeepers? Here in the Kawarthas I am incredibly blessed to have access to sacred sites that intersect on a ley line, and as ally and friend, to discover a powerful rapport with Michi Saagiig Nishhaabeg community. The Peterborough Petroglyphs or Kinomagewapkong (The Teaching Rocks), a sacred site of global importance, is the largest concentration of Indigenous rock carvings in Canada. A vast visual library of red ochre animals, figures, spirit beings, shapeshifters and other symbols on a ridge of crystalline limestone offer cultural teachings and guidance, and is a living sacred site for ceremony, prayer and healing. Vision quests and other events are held regularly at the site, which continues to be an important location for spiritual resurgence and cultural reclamation, and a place of pilgrimage for Indigenous and earth-connected people from all over the world. Kinomagewapkong is a mystical place that has deep significance to us today as we renew our connection to the Earth, and as allies to First Nations, recognize their foundational claims to the land. In Celtic mythology, sites of beauty and thresholds of magic are called the “thin places” where the visible and invisible worlds come into close contiguity, and our task is to seek them out for our deepest inquiries and soul connections. When we are receptive enough, we can even exchange messages with the resident earth spirits! I have come to know the sacred sites in my region as transformational gateways that evoke ancient memory, and restore the healing power of the Earth Mysteries. A short drive from my home, the Serpent Mounds on Rice Lake contain the only serpent-shaped “effigy” mound built by ancient peoples in Canada. The largest mound, sinuous like a snake, is surrounded by smaller circular mounds like serpent’s eggs. Archaeological excavations have uncovered burials and artifacts from the mounds and surrounding area that offer clues to the mysterious Mound-Builder Culture, both in Canada and the Ohio Valley. As an extension of “topophilia” (affinity for the spirit of place) I continue to seek the paleolithic, and reminders of the antediluvian in landforms shaped by ancient forces. Another exciting aspect of our geomantic ability to hear the call of sacred land is to build brand-new sites, such as contemporary earthworks, temples, cairns, sculptures, spirals and stone circles. It’s astonishing how quickly a miniature set of standing stones topped with a capstone can be created to capture a Solstice sunrise! An eclectic diversity of new labyrinth installations are appearing in grass, bark or stone, all part of a flourishing movement to mark the presence of the living numina in the land. In my own front yard, the stone-set Triskele Labyrinth my partner and I designed recalls our Celtic origins, and fills me with the joy of heritage and panoramic scenery stretching for miles in all directions. Walking the labyrinth is a journey home to our true nature, and like an ancient form of body prayer, a euphoric way to connect directly with the ley lines and serpentine patterns of the land. Part of my gratitude for having daily access to sacred space is knowing that stone circles, and the experience of them, is part of an ancient tradition. Like a mythic geography or “psychogeography,” the person/place resonances important to my life are anchored in these landmarks, so beloved to heart and home. Celebrating the age-old cycles of birth, death and rebirth, the Winter Solstice is a time of rest, reflection and tending to our inner world. Sinking into the “beautiful darkness,” it’s time to return to our roots and be nourished by the old stories. Sacred sites are calling us to remember them, to attune to the luminous whole of nature, to recover the old maps and honour Earth Community once again. Outside of the demands of modernity and linear time, treks to ancestral sites heighten the senses, shift our everyday consciousness, and enrich our connectivity. And as we open our hearts this Solstice to the power of the light, may we feel the ancient energies of the world come alive! 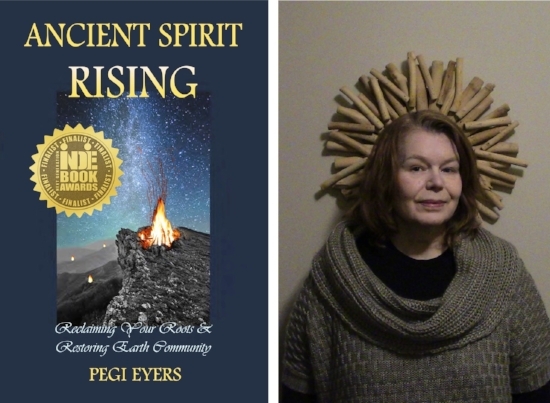 Pegi Eyers is the author of the award-winning book Ancient Spirit Rising: Reclaiming Your Roots &amp; Restoring Earth Community, a survey on social justice, neurodecolonization, nature spirituality, earth-emergent healing and the holistic principles of sustainable living. Pegi self-identifies as a Celtic Animist, and is an advocate for the recovery of authentic ancestral wisdom and traditions for all people. She lives in the countryside on the outskirts of Nogojiwanong in Michi Saagiig Nishhaabeg territory (Peterborough, Ontario, Canada), on a hilltop with views reaching for miles in all directions. In 1988, on a Goddess Tour of the British Museum, I came face to face with a bronze statue of an Antlered Goddess. Though only three inches high she radiated strength and endurance. Antlered Goddess © British Museum. Dated to 1st - 3rd century CE., this bronze statue of an antlered goddess in Romano- Celtic style was found at Besançon, France. The Antlered Goddess was seated holding a dish and a cornucopia (horn of plenty), symbols of abundance and agriculture, nature’s harvest and the land goddess. However, her stag’s antlers hinted at so much more. She seemed to embody an earlier, ancient figure, a primeval force, a deity of wildness and raw nature. 30 years later, I began researching the folklore and mythology of The Cailleach in Ireland for my exhibition, 'Tales from The Cailleach’. Over the intervening years The Old Woman had circled closer to me. I glimpsed her in path workings, in ritual and felt her presence in the sacred landscape. I knew that within the Neolithic cairns (built approximately 5,000 years ago) on Sliabh na Caillí, The Hill of the Hag, Loughcrew, many items composed of deer antler had been discovered during archaeological excavations. Red Deer have had a continuous presence here since the end of the last Ice Age and must have been vital to the life of early people providing food, clothing, tools and adornment. Looking through excavation reports I came across photographs of intriguing artefacts discovered within cairn H, one of the Loughcrew mounds - 150 bone slips buried beneath two huge stones. Decorated with La Tène style carvings, some originally formed combs whilst others were pierced at one end, possibly for hanging as pendants. Carbon dating suggested that they were produced in the Middle Iron Age, about 600 BCE, revealing that the ancestral mounds of the Neolithic people were still sacred to those who came later. Fascinating though this was what really caught my eye was a damaged bone slip carved with a stag and the head of a doe considered to be ‘the earliest example of representative art in Ireland.’ Why were they commemorated? Was it possible that our ancestors perceived the deer herds not merely as providers of food and clothing? Perhaps the spirit of the herd was honoured or took the form of a figure, The Cailleach Béarrach, the sharp or horned Old Woman of Irish folklore? Later, I read a translation of Buile Suibne, ‘The Frenzy of Sweeney’, an Irish tale first recorded in the 1629, about the mythical character known as Mad Sweeney. In it I came across a character called Lonnog, The Hag of the Mill, a cailleach responsible for the care of Suibhne. During their time together Suibhne remembers his great adventures in the wild and tells the hag about his meetings with the famous stags of Ireland. He realises then that Lonnog is not all that she seems. She is the ancient mother of Ireland’s great herds of deer. Reading these words I remembered the tiny Antlered Goddess in the British Museum from all those years ago. The winter of 2017 was long and hard and darkness came early as I sat beside the stove in my studio thinking of the deer herds roaming the hills near my home. As my mind wandered a voice, deep and old, whispered from the silence around me. The words were repeated until they grew to form a poem. and heartbeat of the herd. I hurried to record the words then to sketch the image that was appearing in my minds’ eye. 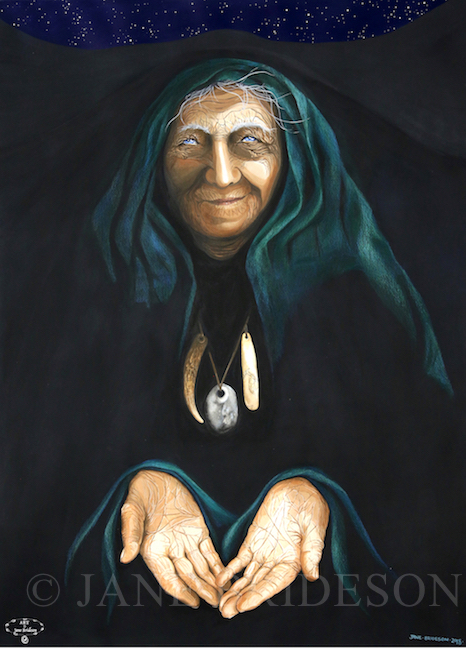 The Cailleach, with her bone slip, hag stone and antler tine emerged from the shadowy mound offering her wisdom, holding out her hands to guide us through the darkness. Weeks later, when the painting was finally finished, I lit candles and incense to honour her. Sitting looking into her eyes I knew there was more work to be done. The Antlered Goddess came to mind once again and slowly her image took root in my imagination, shifting shape until she transformed. She became The Mother of the Herd, ancient goddess of re-birth, who connects us to the cycles of wild nature, whose gaze challenges us to look deeply within. From the The Antlered Goddess to the Mother of the Herd, the circle was complete. However, my journey with The Old Woman continues. Jane Brideson has been creating Sacred Art since the 1980’s. She lives in an old cottage in rural Ireland where she is inspired by the landscape, Irish mythology and folklore.